The World Health Organisation (WHO) is urging people to vaccinate against measles, as the contagious disease is spreading across Europe. According to figures released by the European office of the United Nations agency, some 12,000 cases of measles have been found in 38 of the 53 European countries. 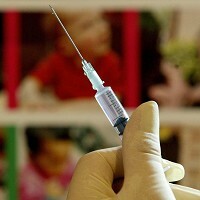 During 2010-2011, five people lost their lives due to the infectious disease on the continent. The organisation is calling on people to be particularly careful in the summer season, as attending large public gatherings - such as sport events or music festivals - could prove dangerous. Britons travelling to Europe this summer may find it useful to take out a comprehensive medical travel insurance policy before setting off on a journey. WHO regional director for Europe Zsuzsanna Jakab said: "People often underestimate the risks attached to measles. To prevent further spread and future outbreaks, it is imperative that anyone who is susceptible be fully immunised against measles." Children and young people in the 15-29 age group are most likely to catch measles, which can lead to severe complications, including pneumonia or encephalitis.